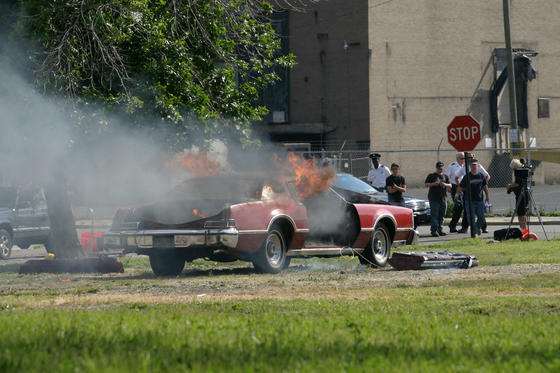 Filming of "The Irishman" is giving Tiger Stadium a temporary reprieve from the wrecking ball as they shoot at the old ballpark today. 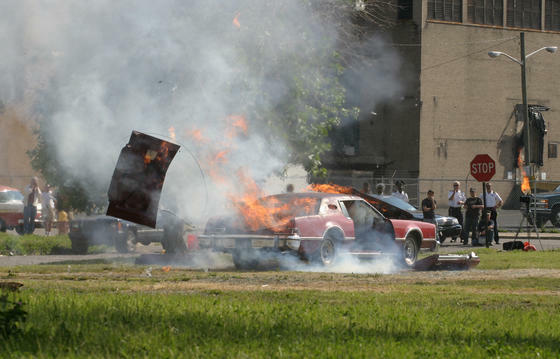 The site will morph into Cleveland Municipal Stadium, which was demolished in 1995 and replaced. Construction coordinator Sean Clouser of Sweet Williams Productions said this morning that he booked a day at the ballpark about a week ago, before the stadium is to be torn down. 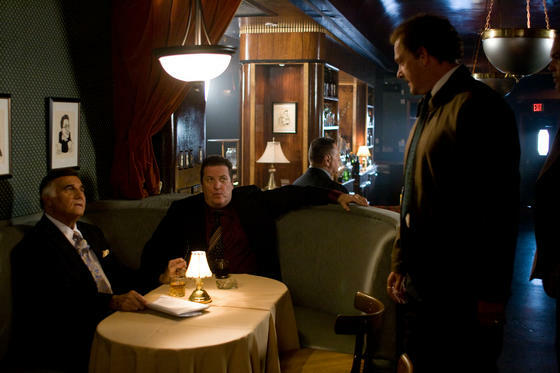 D'Onofrio, Sorvino join cast of "The Irishman"
Vincent D'Onofrio, Paul Sorvino and Vinnie Jones have joined Ray Stevenson, Christopher Walken and Val Kilmer in Code Entertainment's "The Irishman". Lightning Entertainment is pre-selling in Cannes. 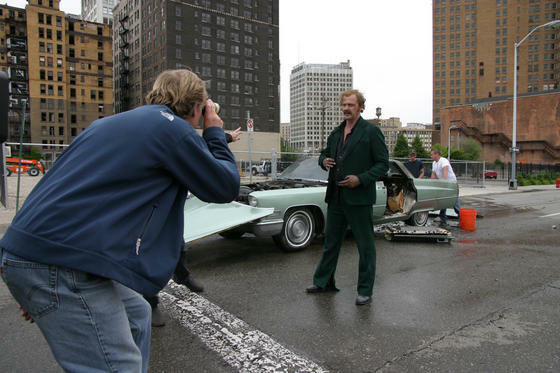 Shooting is set to begin next week inDetroit on the story of Cleveland Irish gangster Danny Greene's fearsome battle with the US mafia. Jonathan Dana and ICM are representing North American rights. 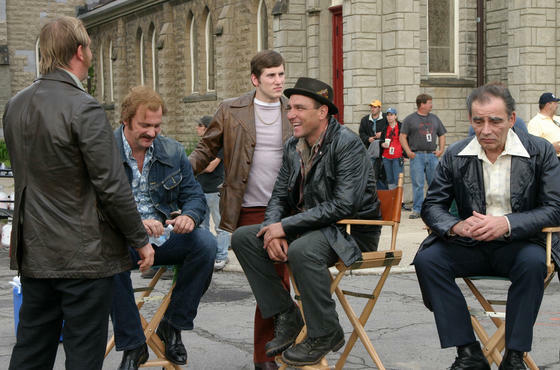 Ray Joins the Cast of "The Irishman"
Ray has joined the cast of the mob drama "The Irishman" alongside Christopher Walken and Val Kilmer. 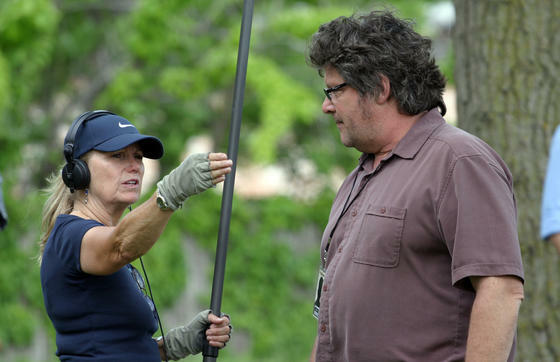 Filmmaker Jonathan Hensleigh wrote the script and will direct. 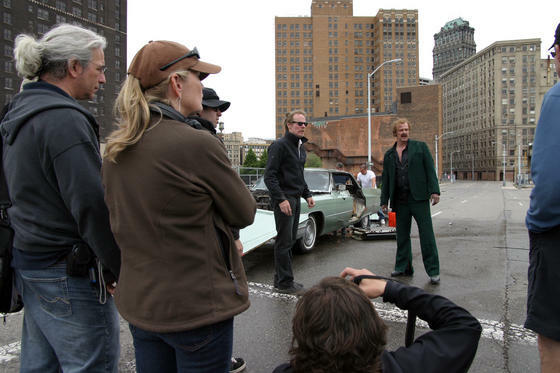 The film is based on the life of mobster Danny Greene (Ray), who ran Cleveland's criminal underworld during the late 1970s. 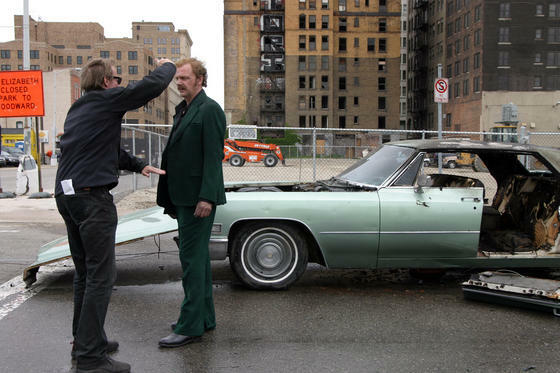 Walken will play infamous loan shark nightclub owner Shandor Birns, and Kilmer will play a Cleveland cop. 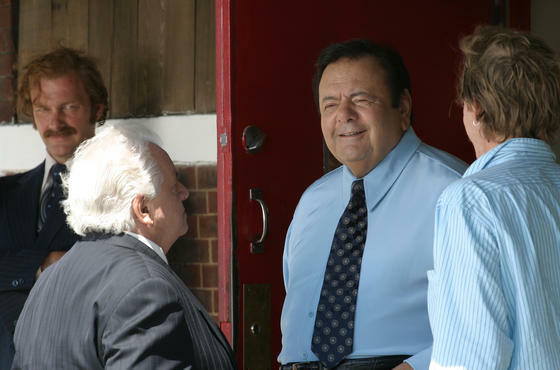 The story was inspired by Rick Porrello's true life book "To Kill the Irishman: The War That Crippled the Mafia". Code Entertainment is developing the indie production, and Lightning Entertainment will sell the distribution rights. 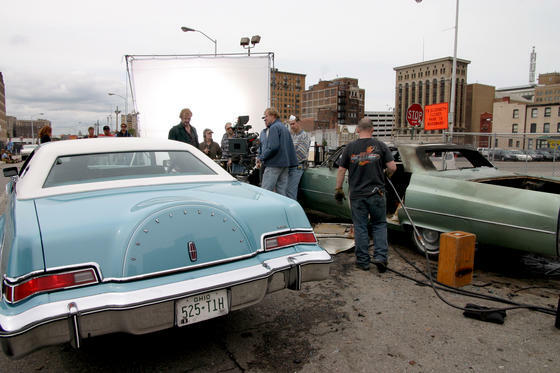 Shooting starts mid-May in Detroit. 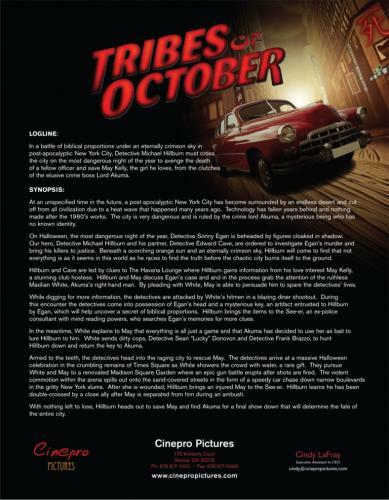 Ray has signed on to star in the post-apocalyptic thriller, "Tribes of October". He'll play a New York detective caught up in a battle between the surviving members of the Mafia and the last remnants of the NYPD in a city that has become a desert outpost, ravaged by heat storms. 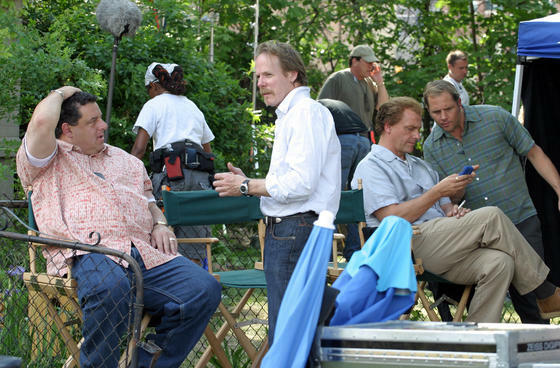 James Caan is on board as the Mafia head, and Robert Duvall as the NYPD chief. Jaime King has signed on to play Ray's love interest, while Stephen Moyer will play a cynical detective. 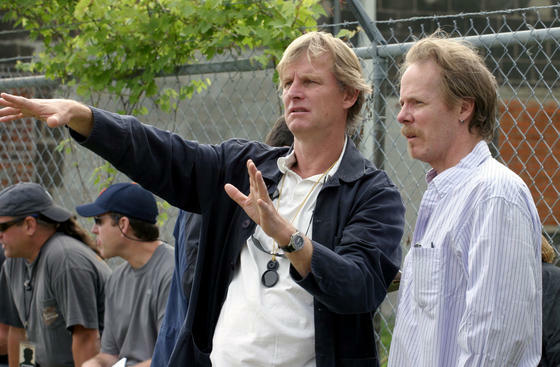 Phillippe Martinez will produce and direct the $25 million film, which was written by Nick Valle longa and Paul Sloan. Filming starts later this summer. Ray will star alongside Thomas Dekker ("Terminator: The Sarah Connor Chronicles") in "Slaughter's Road", one of the first two projects for Dark Hero Studios, a newly formed venture between Watchmen co-writer David Hayter and producer Benedict Carver. Production is scheduled to begin in the summer. Ray paid an unexpected visit to a University of New Mexico Classics course yesterday. Professor Monica Cyrino had the luck of encountering Ray in the security line at Albuquerque Sunport Airport earlier in the week and invited him to speak to her class. Cyrino teaches a Classics course where students watch the show "Rome" for insights into the history and culture of the ancient civilization. She also published a book titled Big Screen Rome in 2005. "Denzel Washington, I must say he is an actor's actor. The man exudes a warm, playful and diligent approach to the work we do. There is nothing but grace and intelligence when in conversation and I can't wait to share screen time with him. 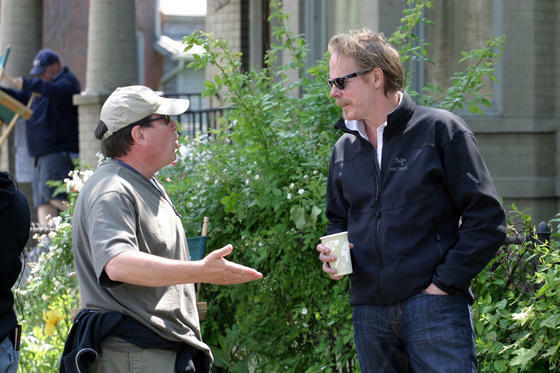 Gary Oldman is simply a 'tour du force', his energy and sheer brilliance are infectious and exciting. I don't think there will be a dull moment on set. Mila Kunis what can I say, the girl is the real thing. 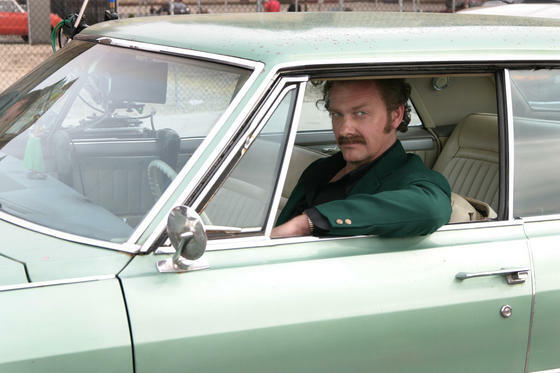 A super intelligent actor who could stop a train with a sideways glance. The world we are about to enter into is a very harsh and inhospitable place. I would call it 'cruelly beautiful'. And I believe we will show and reveal things in this movie never really seen before. There is such a powerhouse at the production office. You feel like you are being swept along on a gigantic tide." 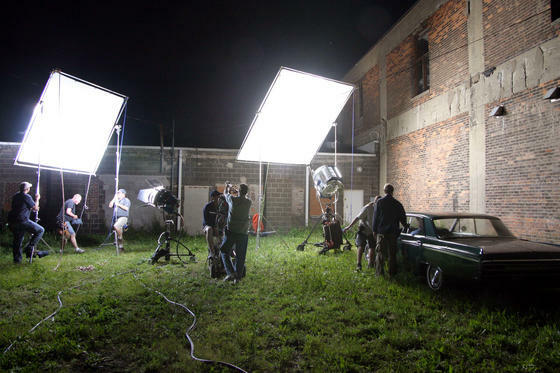 Meanwhile, Warner Bros. just released the first photo of Denzel Washington in The Book of Eli (see below, in photo section). 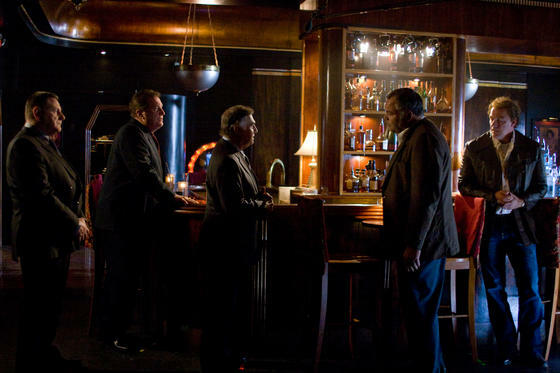 In the early scene pictured, Eli finally gets some company when he steps into a bar. "They peddle some nasty, prison-type alcohol - whatever you can make in the future when there's nothing left," says Allen Hughes (director). "I now find myself in New Mexico preparing for 'The Book of Eli'. I can't tell you how excited I am to be on this journey. There is such a powerhouse at the production office. You feel like you are being swept along on a gigantic tide as we wind up towards the first day of principal photography on Monday. It's going to be quite a ride!!" Book of Eli is a post-apocalyptic Western, in which a lone man fights his way across America in order to protect a sacred book that holds the secrets to saving humankind. "The world we are about to enter into is a very harsh and inhospitable place." "I would call it 'cruelly beautiful'. 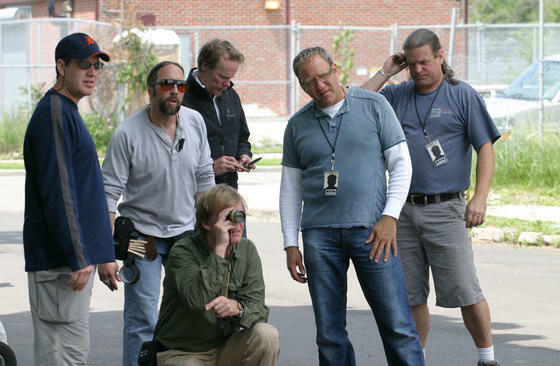 And I believe we will show and reveal things in this movie never really seen before."